See? Procrastination has its upsides: I’ve stretched the Sweet, Sweet Summer series it hit another season that allows for alliteration. Now I sound cute again. Lots of people have asked about the merits and flexibility of coconut sugar and palm sugar, and although I’m still figuring them out myself, I’ll shed some light on the issue today. I got my first bag of “palm sugar” quite a while back when I was first getting into real food. It took a really long time to get through it because I really didn’t know how to use it well. I would put a teaspoon at a time into homemade mayo because Kelly the Kitchen Kop used it there, and every so often I used it in my water kefir, but it creates such a strong flavor/fizziness that my kids generally eschewed those batches. Where does palm sugar come from? 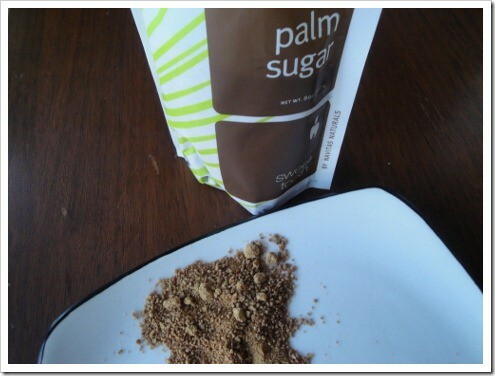 Is palm sugar the same as coconut sugar? What would it do in a baking recipe? 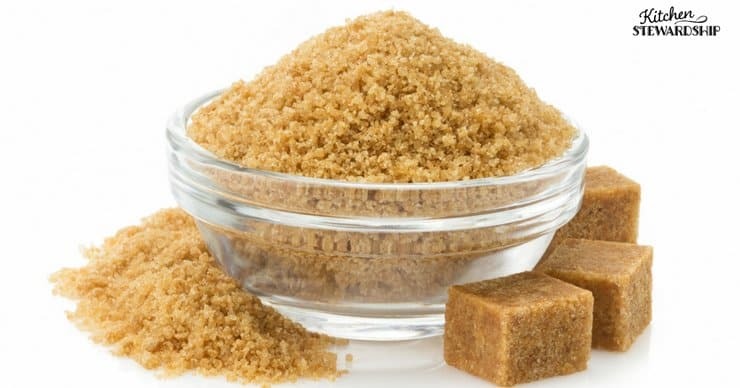 What’s the Difference Between Palm Sugar and Coconut Sugar? Sometimes packaging makes life very confusing. Peruse a few bags of sugar in this category, and you’ll see everything from coconut crystals to 100% pure evaporated palm nectar to the blend of coconut palm sugar and everything in between. Since Dr. Oz, a bigtime TV personality, came out quite recently saying that coconut palm sugar was healthy and sustainable, it’s become very popular. It seems like any brand that used to just be “palm sugar” now makes sure their materials say “coconut palm sugar” so no one misses them. Coconut sugar and palm sugar may or may not be the same thing, depending on which company you’re looking at. “Coconut Palm Sugar” is made from the coconut palm tree, the same tree that grows coconuts for other purposes (the “cocos nucifera” tree). Just plain “palm sugar” may be made from the same coconut tree, or it may be made from one of two other varieties of palm trees which also produce a sweet nectar (the Palmyra/Borassus palm tree or Aren palm tree). Coconut nectar, the liquid form, is the same stuff as the crystals as well. Palm sugar is from a different type of palm (although still not the variety of palm from which palm oil is procured), but is processed in the same way. Palm sugar may also be called aren sugar or aren palm sugar (meaning it’s made from the aren sugar palm tree). The sweet nectar comes not from the coconut itself, however, but is harvested by hand twice a day directly from the flower. You can buy coconut nectar, like the sample I got from Coconut Secret, which is straight from the flower and very minimally processed – just heated a bit for about an hour to get rid of any excess moisture. To make the coconut palm sugar, the nectar/syrup is heated a bit more until all the moisture is evaporated off and crystals remain. See more about the entire process here or here. I’ve been sitting here taste-testing my three different brands of coconut sweeteners: Coconut Secret coconut crystals, SweetTree coconut palm sugar, and Navitas Naturals palm sugar. They’re all from the same kind of tree, and you know what? They taste pretty much the same. I also compared the taste/texture with my sucanat, and there is a difference there, especially in the mouthfeel. The coconut sweeteners are more moist, like biting into something soft and firm, like a thin piece of cheese or a cucumber, or maybe a dried apricot or soft walnut would be even more accurate. Sucanat is definitely crystalized, so there’s a crunch, although it’s more dense and verging on moist than white sugar with its characteristic crackle between the teeth. Coconut palm sugar must have about the same sweetness as white sugar (sucrose), but it’s closer in flavor to brown sugar (also sucrose). It does not taste like coconut at all. 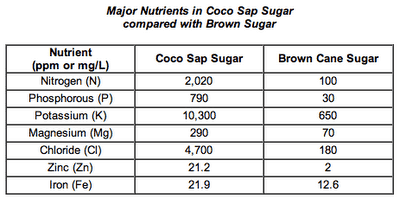 Coconut sugar is lauded for its low glycemic index of 35, whereas sugar is in the 60s and honey still at 55 and higher. This means it is metabolized more slowly and can be easier on the system. Some call it a diabetic friendly sweetener because of the GI, but a sweet is still a sweet (something that is important to remember for this whole series: we’re not looking for a health food here, just something that is not as bad for us as white sugar). A GI of 35 still isn’t exactly broccoli, you know? Coconut palm sugar (this may not be true about any old palm sugar) is especially high in Potassium, Magnesium, Zinc and Iron and is a natural source of the vitamins B1, B2, B3, B6 and C.
If you are looking for sweeteners that have proven health benefits check out sorghum and maple syrup! One thing that I see as positive in this industry is that every brand I’ve bumped into so far makes small farmers and ethics a priority, thus giving real people in countries far less privileged than America a living wage and more. Coconut trees cannot produce sugar and coconuts at the same time. If/when the coconut sugar industry booms, coconut prices will rise immensely because farmers will convert their trees (already are) to making coconut nectar and sugars. Farmers are planting trees specifically to make coconut and palm sugars, but it will take 5-10 years to catch up with the demand. In the meantime, products like coconut oil, coconut flour, and plain shredded coconut (use the code STEWARDSHIP for 10% off at that site!) (use the code STEWARDSHIP for 10% off at that site!) will become so expensive, only the rich will be able to afford them. Coconut Secret published a response HERE to Tropical Traditions’ claims, basically saying that they’re dead wrong on all accounts (with some citations), including information on how to both harvest coconut nectar from blossoms AND allow them to grow into coconuts. I’ve said it many times, but it seems that again, in the world of food, nothing is simple, and you can always find sources that say the exact opposite information. Keep in mind that BOTH these articles are written by people invested in companies that sell a product, and each article promotes that person’s product. Until an objective source can be found, we’ll have to just take them with a grain of…coconut sugar? And what am I going to do? Although it sounds like it would certainly be possible to grow both coconuts and coconut sugar, the seed of doubt has been planted about whether the sugar competes with coconut oil and flour, both of which I depend on much more heavily than any sweetener. Disclosure: I received samples at no charge from SweetTree/BigTree Farms, Coconut Secret, and Navitas Naturals, but my opinion is certainly my own. I am an affiliate of Amazon and will receive commission if you shop using my link; Tropical Traditions also has a buyer reward program that gives free product if you are a first-time purchaser and start here. See my full disclosure statement here. Thank you, Katie. I’ve used some coconut/palm sugar sparingly over the last year and really like it. However, I have started to wonder about the benefits (or maybe I should say “lesser evils”) of it as well as the sustainability question. I appreciate the work you’ve put into summarizing the data and will take time to read the producers links that you so kindly referenced. Keep up the good work. This is a little off topic but since you mentioned sale priced at Tropical Traditions, I’m wondering if you buy the gold or green label oil? It seems like the green label would be just as safe for food consumption or making skin care products as the gold, since they’re both organic…the difference mostly seems to be in method of production, but both methods equally safe? Thanks so much. I don’t comment too often, but I LOVE your blog! Are you not buying it from Soaper’s Choice anymore? If not, why? Thanks! I’d like to know that, too!! I purchased 5 gallons of the organic tropical traditions coconut oil and it has been the best decision I ever made. I use for my skin, make-up remover, cook everything with it, feed it to my dog, make fudge!!! and constantly use it! I made a good call buying this and paid almost $300.00 for the best and shipping but I am very satisfied. Over the weekend I purchased some coconut palm sugar out of curiosity. I was hoping it would give my coffee a bit of coconut flavor. It didn’t, but I am enjoying it in my coffee. My husband used it when he made waffles and the whole family loved them. I tried using it instead of white sugar in a pound cake recipe. I used a recipe that I was very familiar with so that I would have a more accurate comparison. The cake did not bake all the way through. There was a tunnel of thick batter running through the middle. This has left me a bit concerned about baking other things with it. I may try a combination of sugars, but I’m leaning towards just using it for my coffee. I am very happy to have stumbled upon your site. I look forward to reading more. A few days ago I tried a new recipe for “Reese’s” peanut butter bars that called for powdered sugar. I don’t have any in my pantry, so I used the coconut palm sugar. I thought that maybe since it was so fine it would be okay to substitute. The end result was a great success. I’m thinking of experimenting on a small batch of buttercream frosting. Thank you for sharing your research. I had heard the concerns and I agree that nothing is simple and we should be conscious of the concerns but not throw the baby out with the bathwater. I tried Arenga palm sugar made from palm species different from coconut palm. The palm sap is sustainable harvested from flower stem (not from the flower, not the fruit, not the nut). The Arenga palm sugar is great and baked well. Marian, can you please share where you were able to purchase Arenga palm sugar? I haven’t been able to find a source for it here in the USA. I bought some coconut sugar from Amazon a while back when there was a great deal. I was planning on using it in my coffee (and I DO like it in my coffee), but I tried making butter pecan ice cream with it and it is SO good! Now I’m hoarding the coconut sugar just to use in ice cream. It gives a bit of caramel flavor to it that is just to die for! I did notice that it seemed to be difficult to dissolve. I haven’t tried baking with it yet but I’m wondering if that would affect results? I have used coconut sugar in baking with good results. I’ve mostly used it in muffins, usually using 1/4 c. in a dozen recipe rather than the 1/2 cup called for. We have gotten used to eating things not so sweet and enjoying the flavors of cinnamon, vanilla and even the grains themselves. The coconut sugar was also wonderful in the soaked coffee cake recipe on page 59 of the “Is Your Flour Wet” e-book. I did use the full amount called for in the cake since I had not made the recipe before; I would cut down to at least 2/3 cup for the full recipe next time. In the filling I used only coconut sugar in place of the sugar listed and eliminated the sucanat all together. I am very pleased to find a good soaked coffee cake recipe and my husband said over and over how good it was. Incidentally, the recipe easily halves to bake in an 8×8 pan for 25 minutes. Well, I’m waiting to hear what others do with the palm sugar hard disks. That is what I purchased because it was what I found in the Asian market and at the time did not know you could buy it in powdered form. 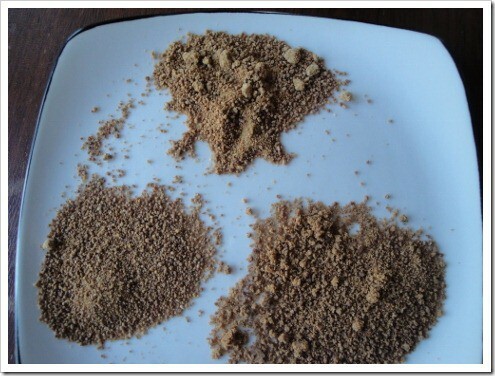 One might assume that the disks can be easily grated/ground into a powder, but that is not the case. I’ve heard that it is to be dissolved in a liquid, but then how would one measure it, compared to powdered sugar? Has anyone had any success using this form? If so, what did you do? I am concerned that these are not “true palm” sugar.. I would love to see research on that.. I couldn’t find much on the internet.. They taste coconutty. I’ve only ever used them. 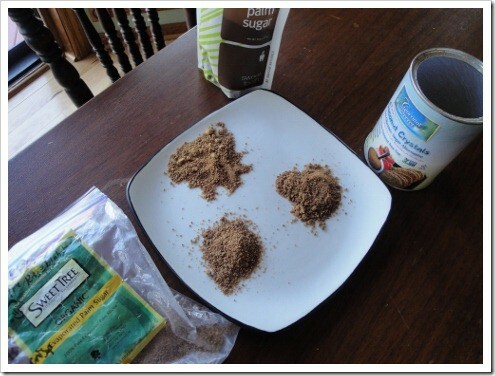 I never saw any from the “health food”-type brands till a few days ago, but I read about coconut sugar on another blog a few years ago, and have been using it ever since. So, how do you use it? You don’t just dump a few “pucks” in cake batter and they just dissolve. What do you do to it? I mean, listen, I’ve taken a hammer to them and managed to break them in slightly smaller chunks, but they never get to a powder stage. Even when I try to grate them, they won’t cooperate. I haven’t tried it in things where I couldn’t just melt it–like the rice pudding I mentioned below, which, around here, is a make it the night before crock pot breakfast. If I were trying to grate it, I would probably try the Salad Shooter. Sorry Heather, to keep asking the questions, but I would love to know then how you “melted” it, and did you substitute it in a recipe that called for sugar, and if so how much “melted” palm sugar to say, a cup of sugar? Did you just place the disks in a pot and heat them, or did you dissolve them with a liquid, if so how much? I’m finding that it doesn’t dissolve easily, in fact when I tried to dissolve some in a hot liquid (don’t remember what liquid) the best I could get was tiny clumps of the sugar. Boy, I won’t be buying disks any more, it’s too hard to find out how to use them. I’m not really wanting to experiment with such expensive food. I understand the sugar also comes in a paste-like form in a jar but I haven’t found any of that. No problem–sorry I’m not more help. I’ve used it in the sort of things where it can be melted in with a liquid, or, as in rice pudding, thrown in the crockpot with all the other ingredients. I’ve read about the paste, too…but I haven’t seen any. And I live in the Silicon Valley, where there are tons of Asian-Americans, and the Asian supermarkets are just as big as the regular ones! But maybe it’s called something else, and I’m missing the translation? I guess it wasn’t really the shape I had a problem with, it was more the price and the taste.. the taste was so different and more like regular white sugar. I got six pounds of Madhava Organic Coconut Sugar last year (for about $18) and have been GREATLY enjoying it! I have diabetes and it sounded as if at least a bit of it would be okay and maybe even have some benefit – I have low potassium all the time, probably due to some BP meds I have to take. Anyway, it is YUMMY in iced coffee. I actually usually use Pero, which is a roasted barley, barley, chicory, hops coffee replacement drink that is made all the better with coconut sugar and a bit of stevia. I did not like it mixed in plain yogurt at all, though. It’s okay in tea but it does give my green tea a more hearty flavor when I like it clean and delicate so I don’t do that often. After you use it a while you can pretty much figure out what it will be good in or not. It is good right off the spoon! I appreciate this article. I have not been able to find out a whole lot about it and this was very interesting! I hope more data emerges but until then I will use a few spoonfuls a day in my iced coffee or fake coffee LOL! I got it from amazon. com. Strangely on a quick look I don’t see the regular but they have the blonde coconut sugar, which I believe is a little milder, for around $20 for six 1-lb packs – that’s how I got mine. Maybe they are sold out of the regular as thats a good price! If you do the subscribe and save the blonde is just over $17 for the 6 packages. I don’t know if a link will work but I’ll try! Thanks for this post! I do love sweets and am always looking for something at least a little better than regular sugar (and never that fake stuff! ), but honey is really all that I’ve found as I just cannot handle the taste of stevia and don’t have the bucks for most of the other stuff. This could be something interesting to look into, though hopefully not at the expense of coconut in other forms- I NEED those products! I’ll have to check out the local Asian market to see if they have any in stock to give it a try. It should be noted that Coconut Secret’s response to the rumors fueled by Tropical Traditions article is largely based on the response posted here http://goo.gl/g5i2Q. The blog post is much older than Coconut Secret’s response, and perhaps not as well written but they raise the same points (and more) against the “truth” by Tropical Tradition. The sad thing about this is the lack of response from Tropical Tradition, and their refusal to correct the irresponsible statements they made. Statements that are unsupported by facts, or references to credible academic or research centers. Thanks for all the info. I’ve been looking into coconut/palm sugar for a while now, both from a lesser-evil ‘nutritional’ standpoint and for southeast asian cuisine. After starting with an expensive bag from a health food store, people may be interested to know that you can easily purchase the palm variety quite cheaply in southeast asian grocery stores, as it is a regular ingredient in Thai food. The ‘pucks’ are what people should get, which, with a little muscle, can be pounded to a familiar granular form with a mortar and pestle. Happy not-so-hard-hitting sugar boost everyone! 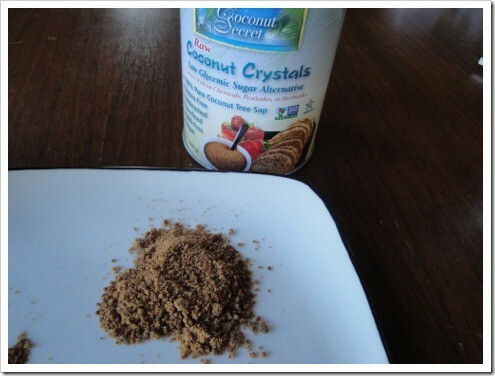 Kind of like molasses, coconut sugar has some beneficial nutrients, as you mentioned. 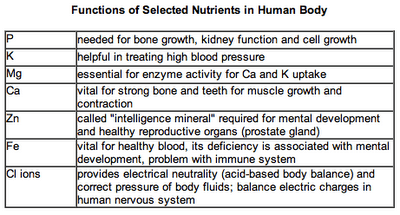 It also has amino acids which I didn’t see mentioned. So, I respectfully disagree on not using it. On the sustainability front, coconut palms require 50% of the space, 50% of the manpower and are being sustainably used and replaced. Yes, the demand may overwhelm the supply, but like most things, it will catch up. It there is a demand and the supply is doable, it will get done. 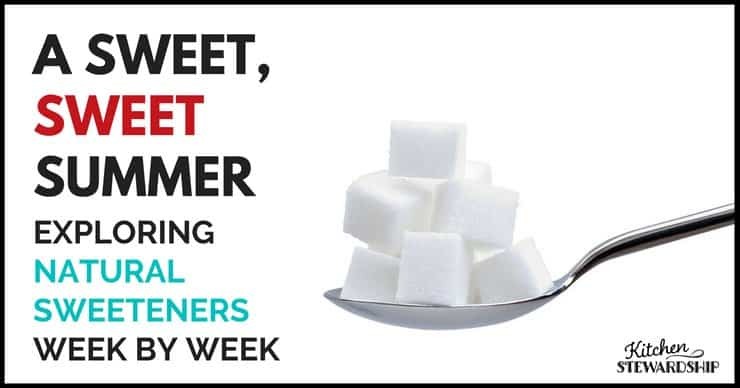 Regardless of what the sugar lobby does to undermine it. After all in the US the sugar lobby actually had and may still have an agreement with the government to have a minimum that the prices have to stay above. How’s that for a nice monopoly. One I am so happy that the internet and communication of information may just overcome. Its not expensive at all, you’re just buying the wrong kind. Go to an Asian grocery store and its half as expensie as white sugar. That Navitas stuff is a total scam, they mark it up 10 times due to the “exotic” factor, but its super cheap. I use coconut sugar when baking my banana bread instead of using 1/2 cup brown sugar and 1/2 cup white sugar I use 1 cup of coconut sugar and it tastes wonderful! I know this is an older post, but palm sugars are all ‘better’ than cane or beet sugars from a health and sustainability perspective and the healthiest of the palm sugars comes from the Palmrya Palm or Borassus Flabellifer. That particular sugar was used by Gandhi, has been a staple in Ayurvedic practice for over 1000 years and is a very rare natural, vegan source of B12. In India, Thailand, Cambodia, etc its mostly found in blocks or discs that are tough to use, but a purified and finely powdered Palmyra Jaggery has been available in Europe for 3-4 years and in the US for a couple. Look up SugaVida.